This morning, twitter is alive with VMware’s Q4 2016 results. In a nutshell, its been a phenomenal quarter. Of course, the first thing I wanted to check out was how vSAN did. “Outstanding” is the word. At VMworld 2016 in Barcelona, we were somewhere around 5,500 vSAN customers. Today, that number stands at 7,000. In the space of a year we have more than doubled the number of vSAN customers globally. There is no doubt about it, but Hyper-Convergence is hot. The recent acquisition of SimpliVity by HPE demonstrates this. [Update] As does NetApp’s intention of getting into the HCI market by using technology from their SolidFire acquisition. [Update] And it looks like Nimble Storage may also be getting into HCI, according to this Register article. And even though the HCI market revenue increased by 100% in 2016, vSAN outpaced that with a 3X YoY growth rate. 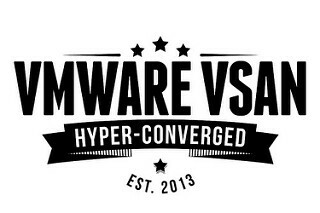 If you are looking for some deeper thought behind why vSAN is gaining such momentum, my colleague Lee Caswell has a very good article that you can read here. He shares his thoughts about where things are going in this space in 2017. It’s an interesting read. One tweeter, who is a big supported of vSAN, stated that it is “onwards and upwards” for vSAN. I couldn’t have put it better myself. But this is not an overnight success story. This is down to the sheer hard graft put in by so many people over many years. And I for one am glad to be part of that team.